Preparing students for success in today’s job market requires a modern, more targeted approach to teaching – college and career academies. 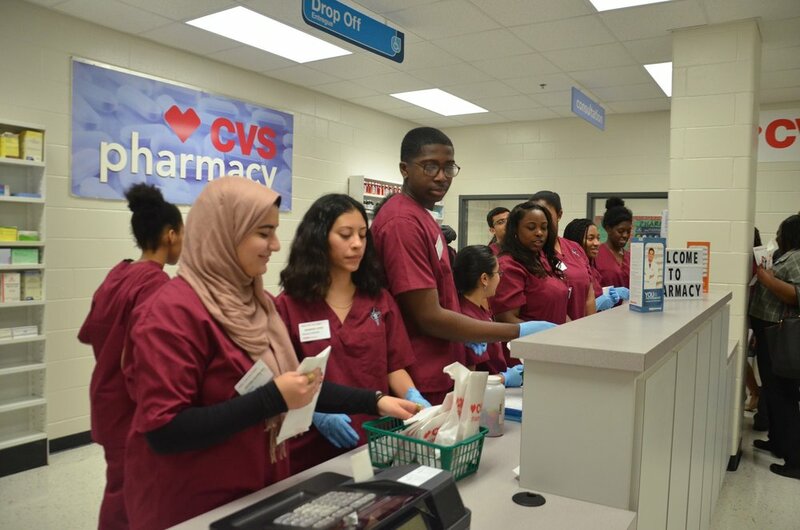 Gwinnett County Public Schools transitioned to college and career academies in the 2014-15 school year to promote on-time graduation and student engagement. This approach allows students to make connections between what they are learning in the classroom and how they can apply their learning to the real world. Our students are gaining knowledge and skills that ensure they are equipped for future success. The careers associated with college and career pathways are considered high skill, high wage, or high need, based on Georgia’s labor forecast for 2020. Gathering input from their students, staff, and communities, the schools select 4 to 5 overarching career “themes” with 3 or more career-specific pathways in each. Themes range from business/entrepreneurship and healthcare to creative arts, STEM, and public service. All students at the school participate in an academy, learning core subjects such as language arts, mathematics, science, and social studies through the lens of an academic or career theme. The college and career academy approach allows students to make connections between what they’re learning in the classroom and how they can apply their learning in the real world, promoting on-time graduation and student engagement. To enhance the effectiveness of the academies, schools have also placed an increased emphasis on project-based learning, developing business partnerships to expose students to careers and authentic learning opportunities. These include internships, job shadowing, and post-secondary credit opportunities.